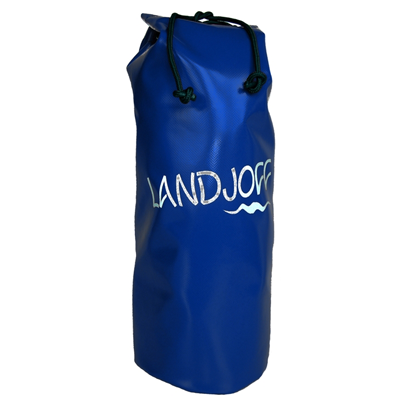 For laid back trips and lazy days, the 15 L Landjoff pack serves your caving needs. Circular base with brass eyelets for water drainage. Adjustable webbing shoulder straps to wear as a backpack. Materials: PVC 680 g/m2, polyester webbing, acetal (POM) buckles.